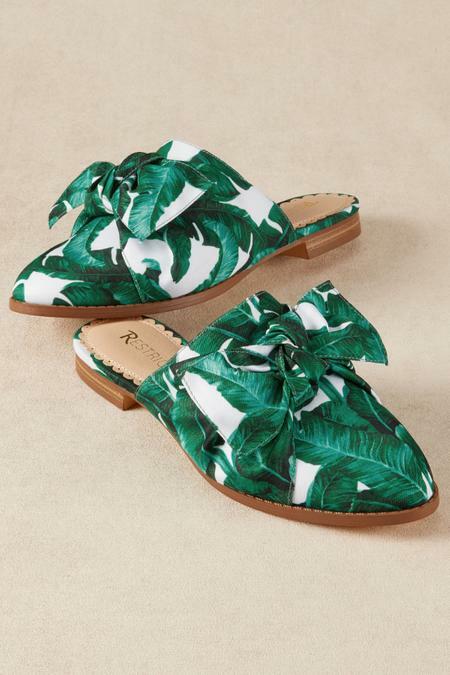 Treat feet to tropical bliss in charming fabric slides with a cheery lemon or palm-frond print and wrapped-tie detail. The round toe, stacked heel, leather sock and fabric lining add up to comfort, and their breezy attitude will carry you from coffee to cocktails. 1" heel.